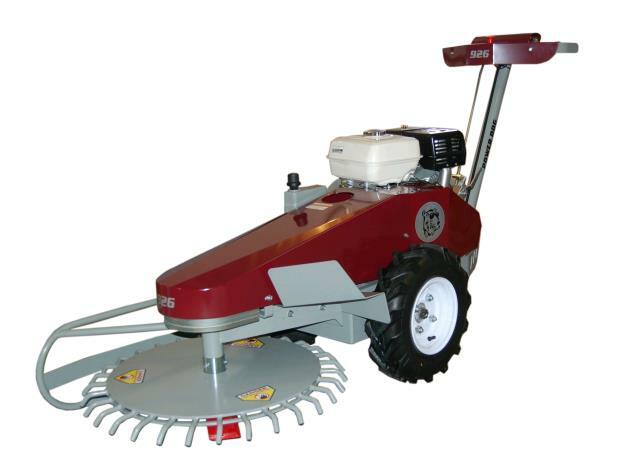 BRUSH CUTTER, POWER DOG 26"
DIMENSIONS (LxWxH)... 78" x 29" x 42"
The 926 Brush Mower with its revolving deck, is the only mower of its kind on the market. This truly unique design will cut any brush up to 2" thick. ** Please call us for any questions on our brush cutter power dog 26 inch rentals in Fairview Heights IL.